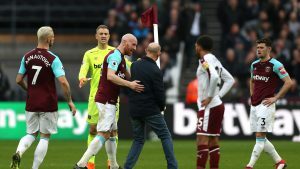 West Ham Vice Chairman Karren Brady has told a London Assembly Budget monitoring committee at City Hall that West Ham were forced to take out a legal injunction against London Stadium owners E20 to release information to an FA investigation about the Burnley crowd troubles. Brady explained to London Assembly members that initially E20 refused to hand over information for the FA investigation so the club was force to take them to court and won an injunction against them. The Vice Chairman added that the FA hearing about the Burnley crowd troubles which includes a look at the stewarding provision is being heard today.